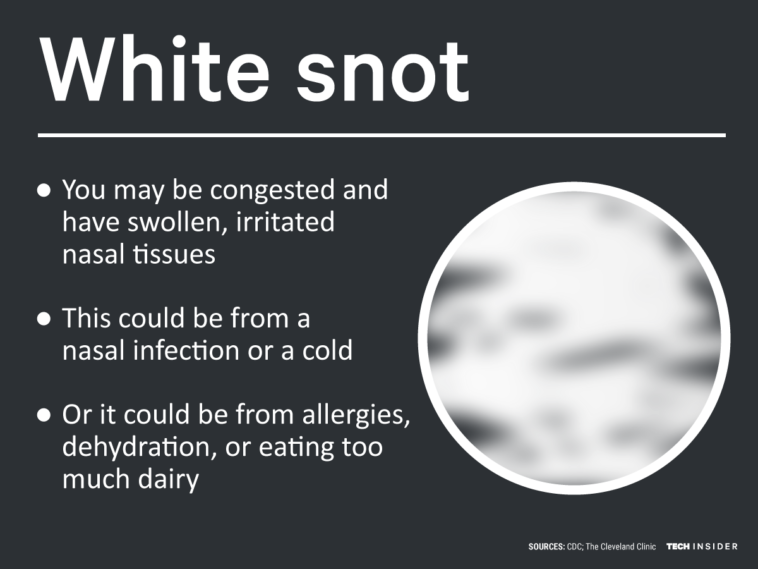 Ever sneak a peek inside a tissue after blowing your nose, just to check the color of mucus? It’s okay to admit it. We’ve all done it at some point, especially when we’re sick and trying to self-diagnose. And really, don’t feel embarrassed about it. 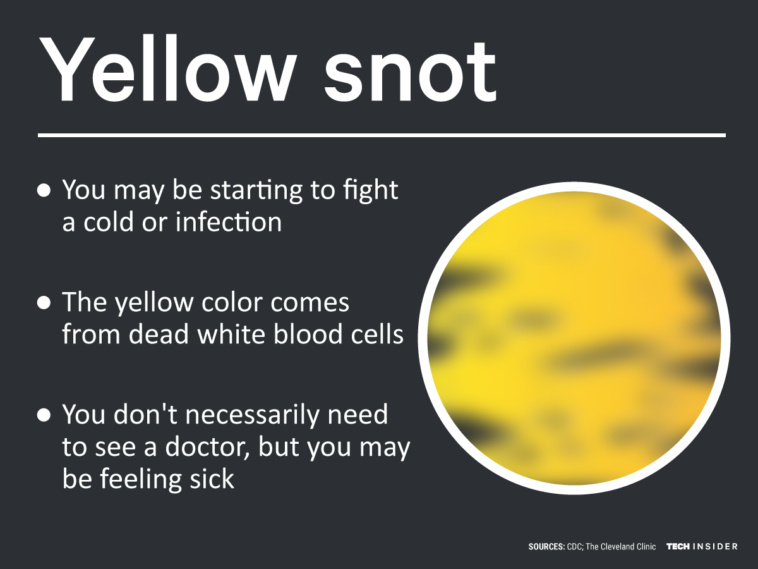 Science has proven you shouldn’t be ashamed for examining your snot color and consistency. 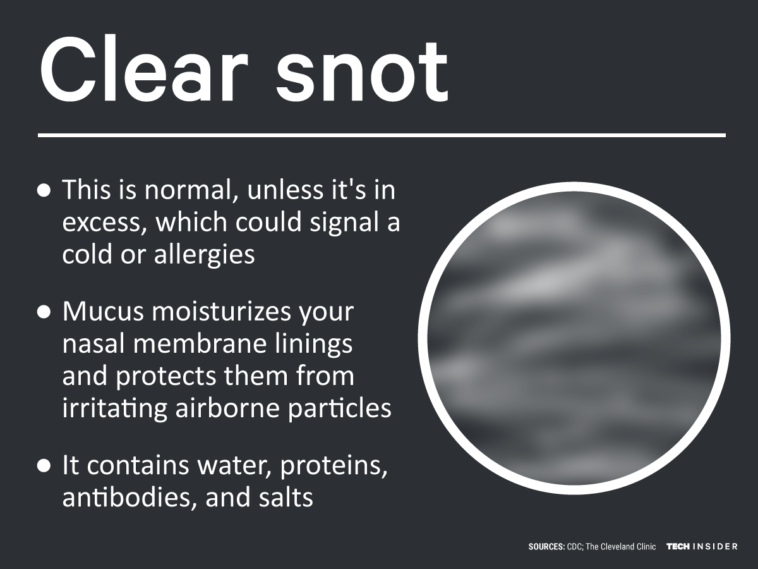 Under normal circumstances, we barely notice our own mucus. But once we do, we generally think of it as disgusting, annoying, and downright yucky. 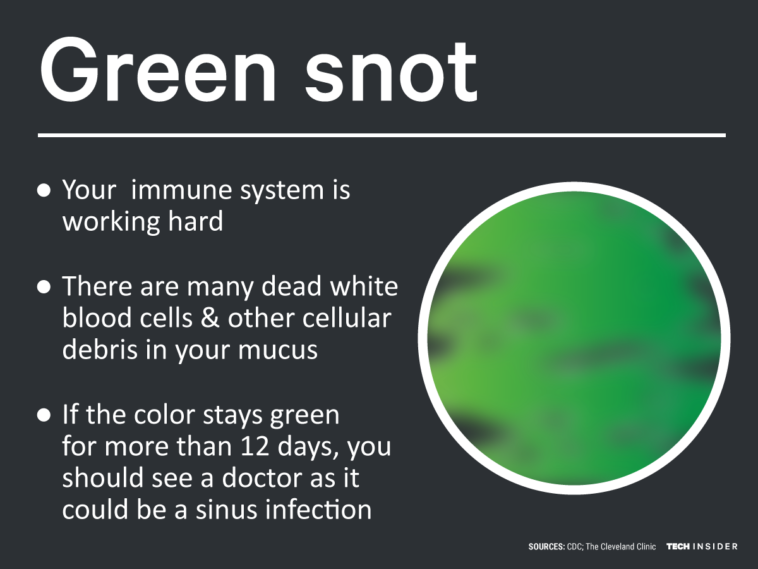 Instead of being thankful for what mucus does, we are quick to question why there’s more of it or why it’s changing color. Breathe easy my friends, because this is a snot-safe zone. 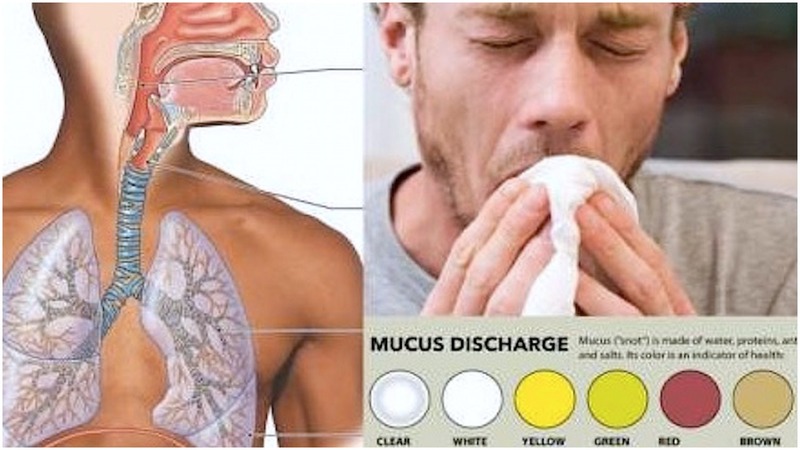 You are about to learn all about mucus, and what your snot color says about your health. Here is what each individual color can mean. Who knew about the white blood cells??? Get rid of that nasty infection.